Paul Brunton was born in London in 1898. He revealed little about his early life but in his late 20s he felt a great disastifaction with his worldly life so decided to travel to India to look into the diverse spirital traditons of India. This produced a remarkable array of experiences which he wrote down and compiled into a fascinating book. “A Search in Secret India”. This became a best seller and made him into a successful author. The most memorable part of the book is at the end where he visits Arunachala to meet his Guru Bhagavan Ramana Maharshi. It was Sri Ramana Maharshi who was able to direct Paul Brunton’s meditations, leading to remarkable inner experiences. Will the Maharshi express an opinion about the future of the world? Why do you trouble yourself about the future? You do not even know about the present! Take care of the present and the future will then take care of itself. Will the world soon enter a new era of friendliness and mutual help, or will it go down into chaos and war? There is One Who governs the world, and it is His lookout to look after the world. He Who has given life to the world knows how to sustain it also. It’s He Who bears the burden of the world, not you. 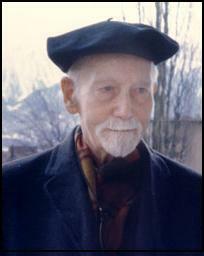 In later years circumstances prevented Paul Brunton from physically meeting his Guru Ramana Maharshi. Ramana Maharshi sent Paul Brunton a note saying only. After this Paul Brunton travelled to different parts of the World such as Egypt and the Himalayas. In these book he continued to log his spiritual experiences and encounters with spiritual and other interesting characters. As a sequel to a Search in Secret India he also published a Search in Secret Egypt. Amongst other experiences he relates how he spent a night in the Great Pyramid and underwent an initiation of sorts. He also related that he felt some connection to Egypt from a previous lifetime. His book Search for The Overself was a very significant book as it was one of the first books to introduce meditation in the west. In the 1950s he retired from publishing books and spent most of his life in anonymity living in Switzerland. However after his death his son published many volumes of notes he had continued to write during his life. Many came to “PB” for advice and guidance in their lives. His spirituality was self evident, however he never wanted to be a Guru and discouraged any attempts to put him into that place.